News Exposure is the only monitoring service in the industry permanently archiving HD content! 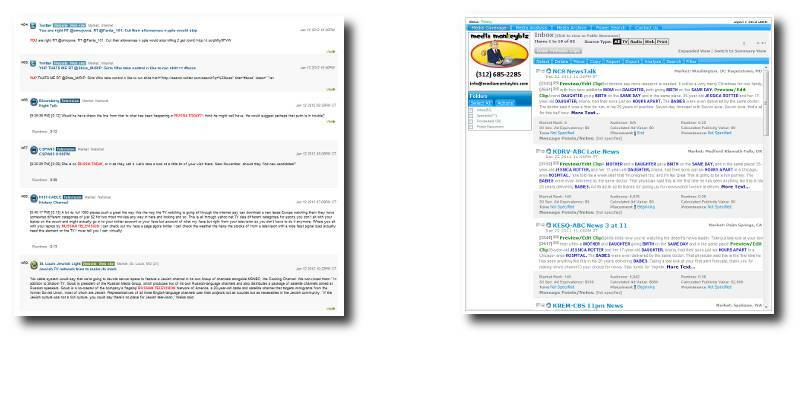 Compare the screenshot of the HD image to the screenshot of the SD image. These images are both one quarter of their full size. 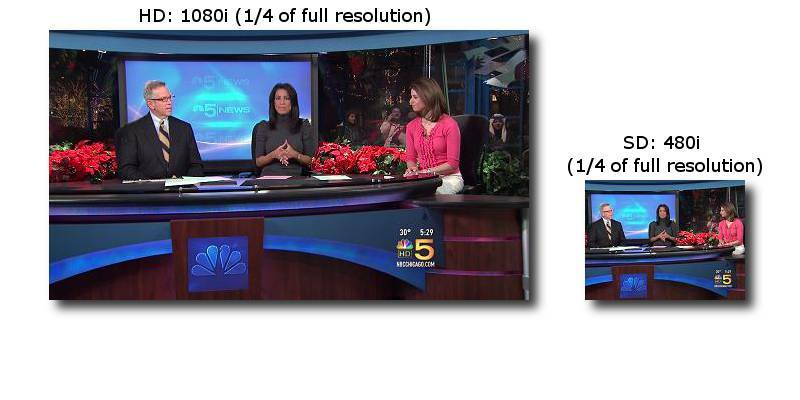 HD video is six times larger when comparing 1080i to 480i. News Exposure records and monitors local programming (English and Spanish language) in all 210 US TV markets, and records and monitors most national/network/cable channels (English and Spanish language) in the US, UK and Canada. Broadcast Media Hit Reports are emailed to you minutes after each mention, in a daily digest, or as often as you prefer. Your mentions and clips are accumulated in your portal (available 24/7). Let News Exposure assist you with Crisis Management! 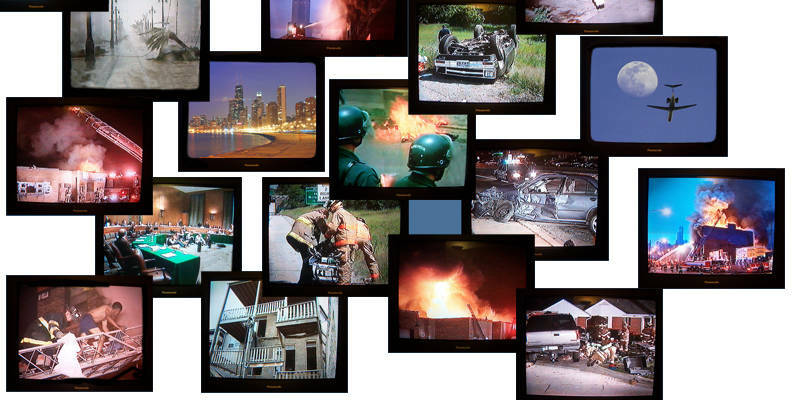 News Exposure will watch TV and listen to the radio, providing you with nearly real-time reports of news coverage about your incident. Broadcast and Online Media Monitoring & Clipping! Access to over 1.5 million contacts including freelancers, bloggers, editorial opportunities and trade shows in our global database. Reach thousands of newspapers, broadcast outlets, newswires, websites, financial terminal systems, databases and trade publications. At News Exposure, we’ve made a significant investment in our digital clips archive of High Definition and Standard Definition segments back to 2005. If it aired, it’s probably in our archive. Let us be your premiere destination for archived digital clips. News Exposure monitors Broadcast, Print, Internet & Social Media and provides metrics that allows our clients to see the impact of their media coverage. Let a team that knows the media industry better than anyone else assist. We can provide you with the tools you need to stay on top of your media coverage. The “Do-It-Yourself” Analytics offers you the ability to choose your data parameters, including charting and graphing by source, city, state, tone placement and prominence. Select from a variety of chart types and styles to create, save and export quantitative data. Our production department is focused on delivering the highest quality television and radio clips in the broadcast monitoring industry. Our editors take pride in their ability to deliver content from even the most remote markets, and work hard to ensure your media clips are located and delivered quicker than industry standards. News Exposure’s production team is ready and able to take on the challenge. Research and Reporting Services assists with the setup, execution, and maintenance of in-depth searches covering broadcast, print, and online media content to meet clients’ needs. The department also facilitates vetting and editing of regularly-scheduled media reports to ensure clients receive the exact content they have requested. Loggers create handwritten summaries for newscasts in our Chicago and Phoenix markets. Our logs help to create a supplementary database used alongside captioning to help improve our search efficiency. We are able to catalogue any visual information shown during a broadcast, something captioning cannot do. Our full-service Chicago office is staffed 7 days a week from 7am to 8pm with an after-hours support network to assist our clients when the need arises. The News Exposure team is comprised of PR and news veterans who understand the industry and have many years of experience in assisting clients across all sectors of business, from non-profit and for-profit companies and organizations to sole proprietors and top Fortune 500 companies. News Exposure records and monitors all 210 television markets (DMAs) in the US (over 1200 channels, including national networks, cable channels and local markets), and records in more than 150 major radio markets in the US (2,000+ stations). We record and monitor thousands of hours of broadcast and cable news daily. The chief difference between High Definition (HD) and Standard Definition (SD) is the number of pixels- HD provides much finer detail than SD because HD has more pixels per square inch than SD. HD Resolution is six (1280 x 720) to eight (1920 x 1080) times larger than SD (720 x 480) Resolution. We monitor and archive over 2,000 radio stations across the US and provide Arbitron estimates and Publicity Values from those staions. From Local to National & Syndicated Radio, we’ve got the tools & resources in place to monitor and retrieve the radio coverage that we know is important to you.